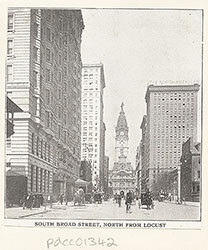 Third Street looking South from Chestnut. 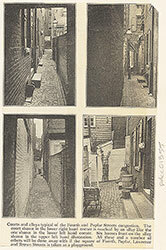 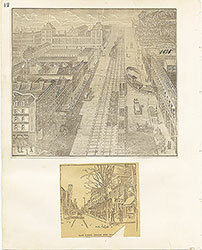 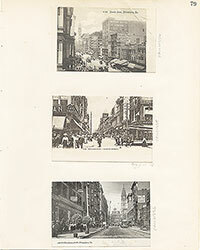 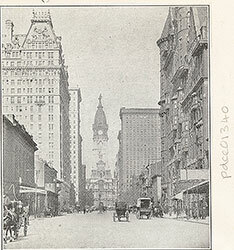 Title: Third Street looking South from Chestnut. 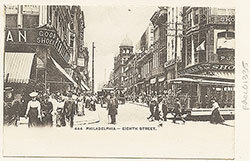 Shows a highly commercialized streetscape along 3rd Street below Chestnut. 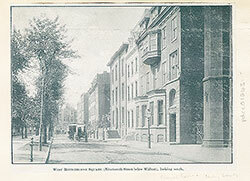 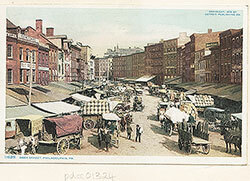 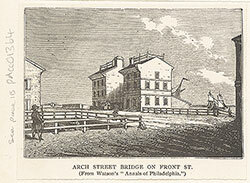 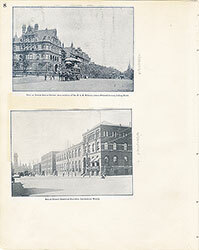 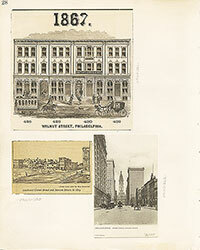 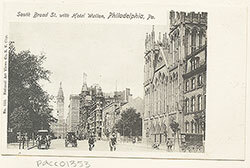 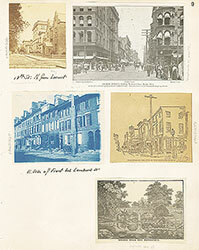 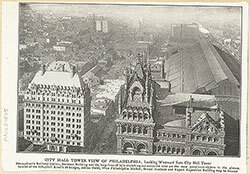 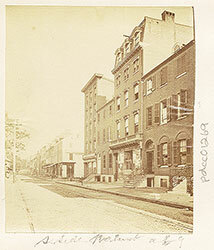 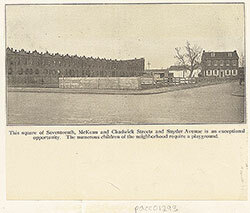 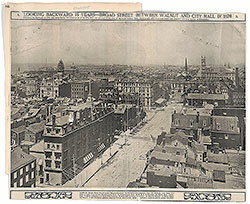 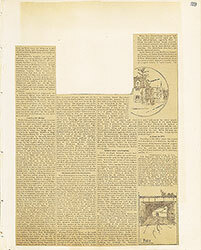 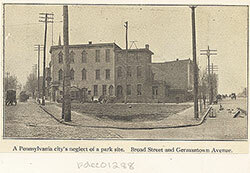 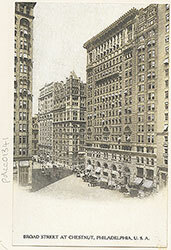 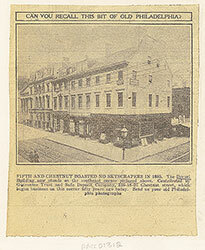 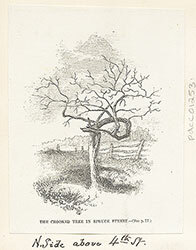 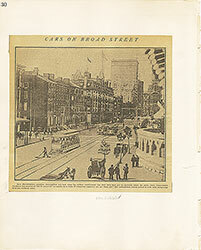 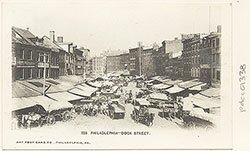 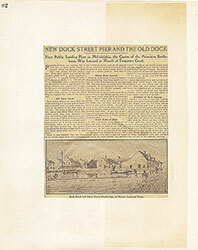 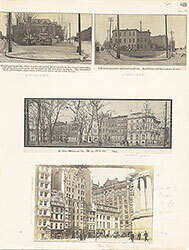 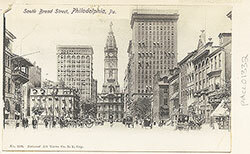 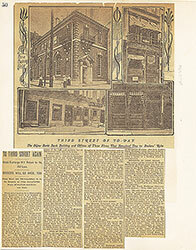 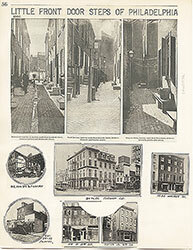 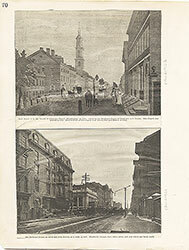 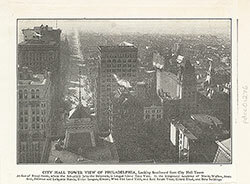 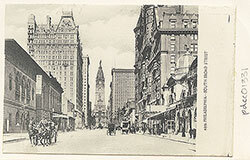 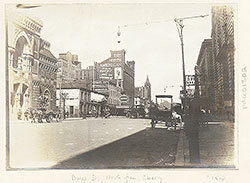 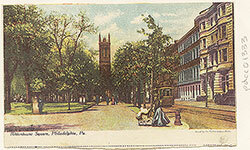 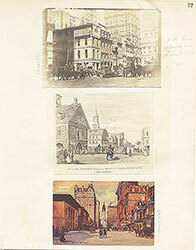 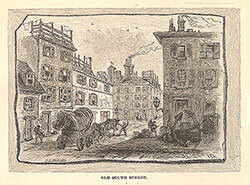 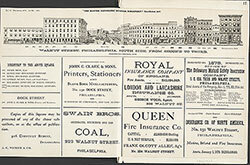 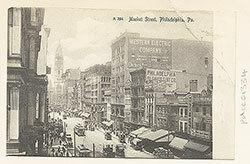 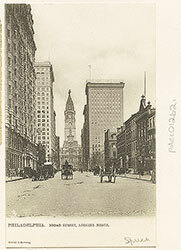 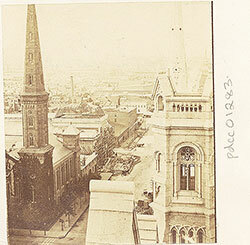 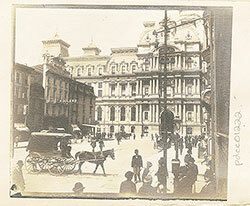 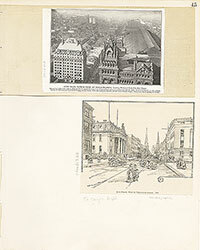 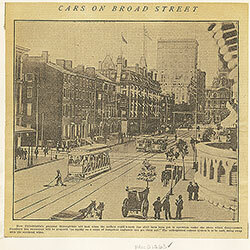 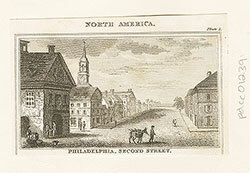 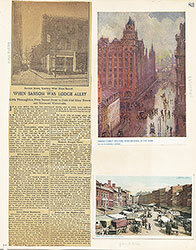 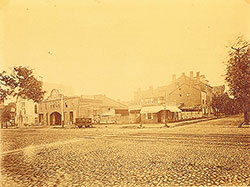 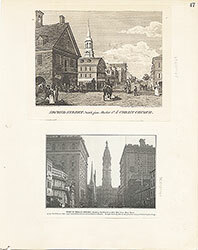 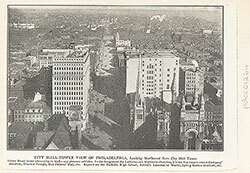 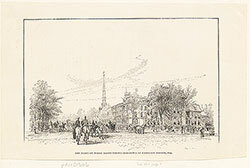 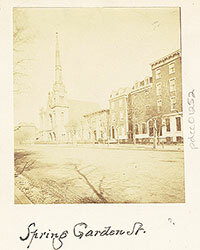 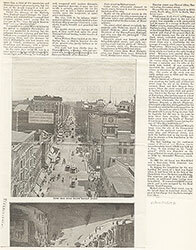 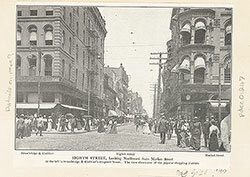 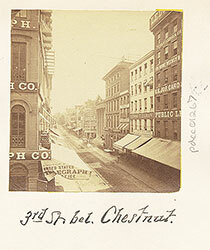 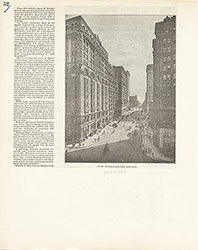 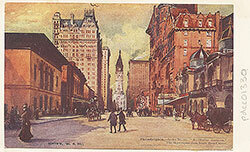 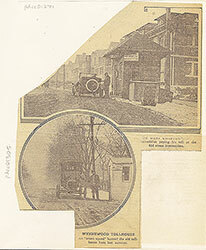 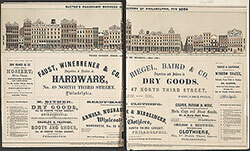 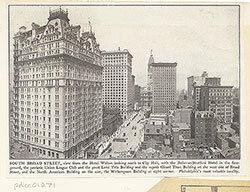 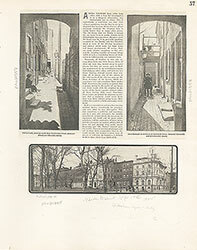 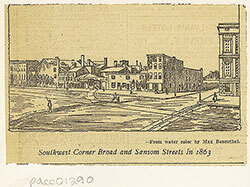 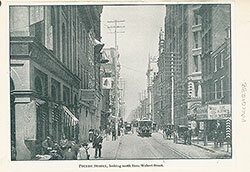 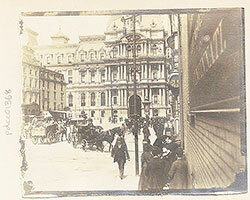 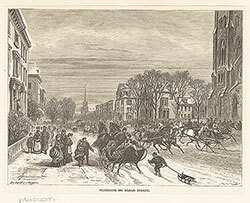 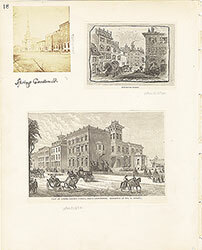 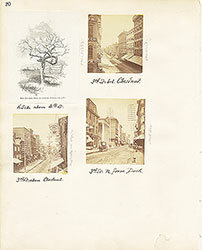 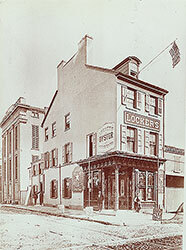 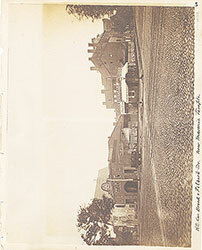 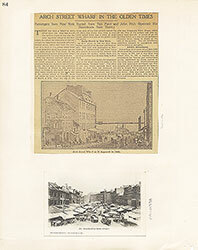 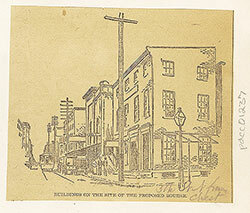 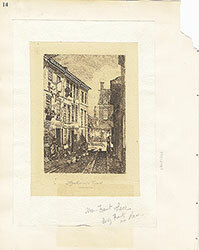 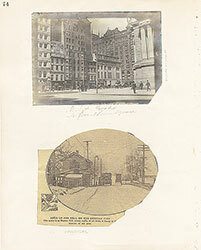 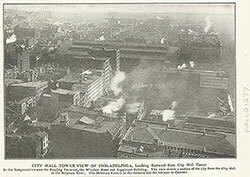 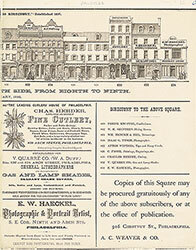 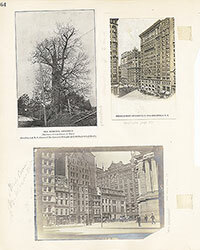 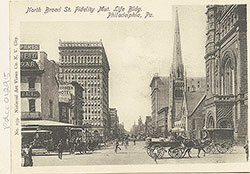 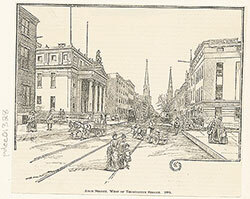 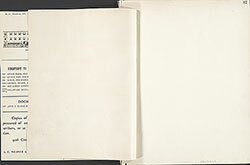 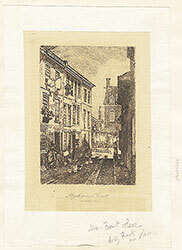 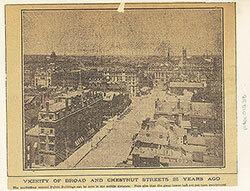 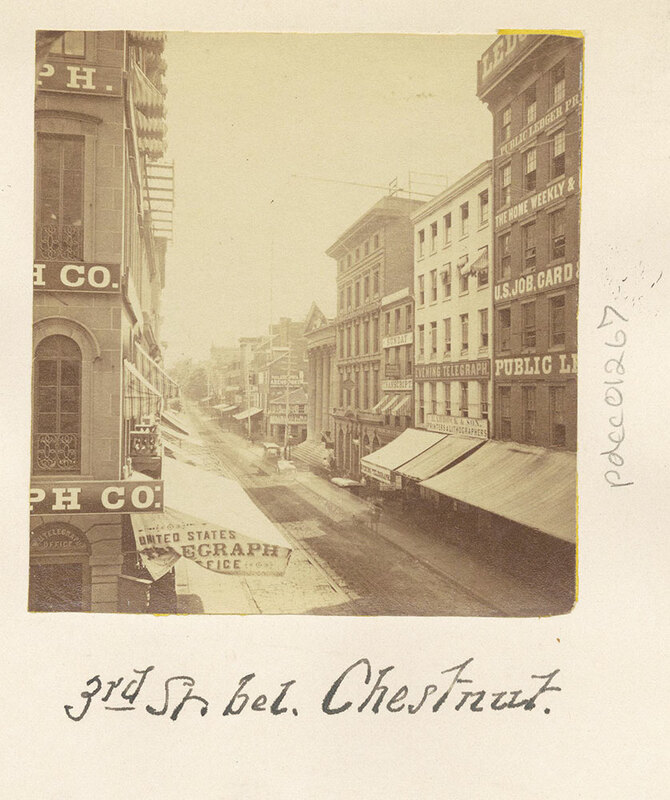 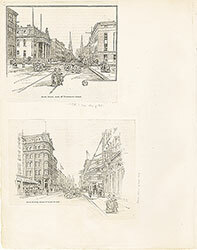 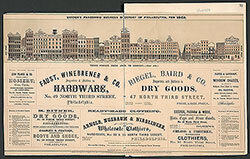 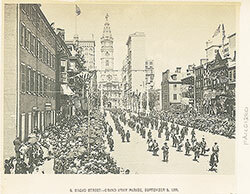 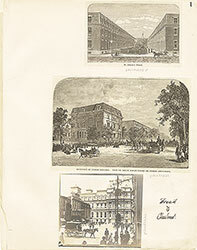 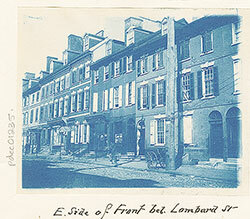 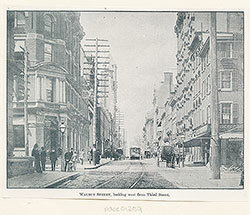 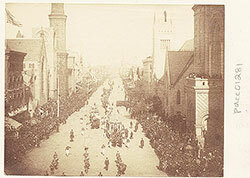 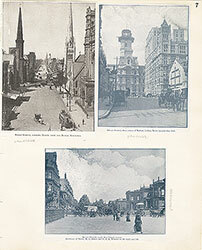 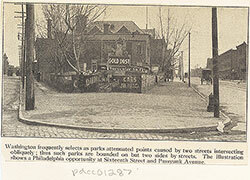 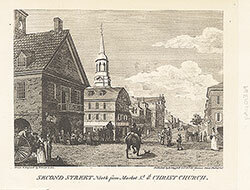 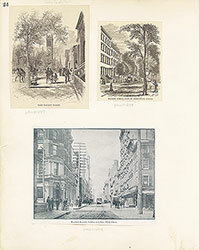 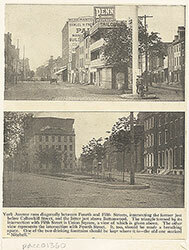 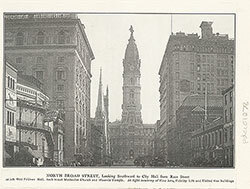 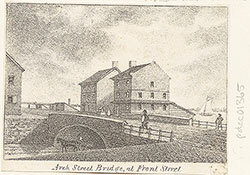 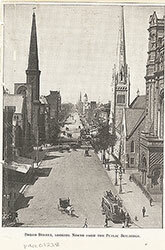 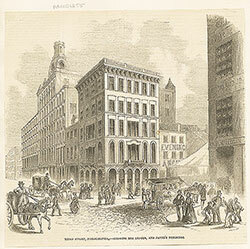 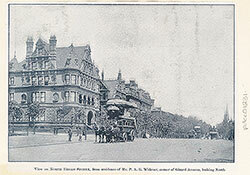 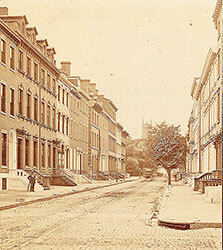 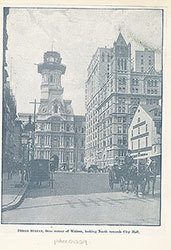 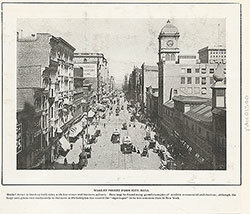 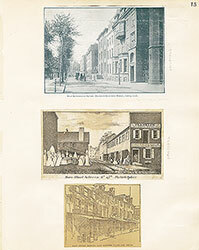 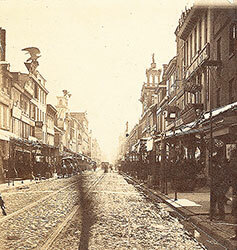 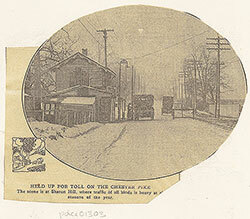 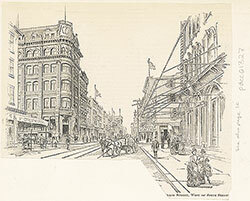 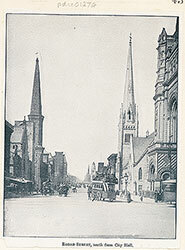 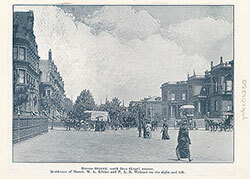 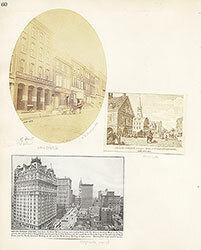 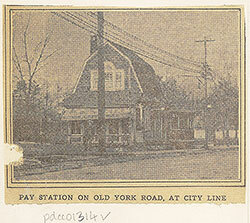 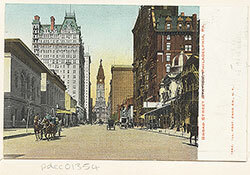 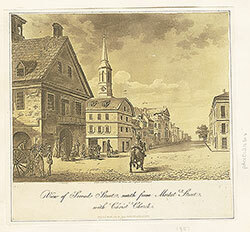 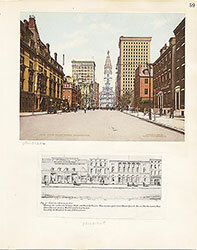 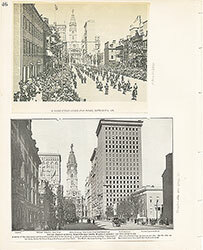 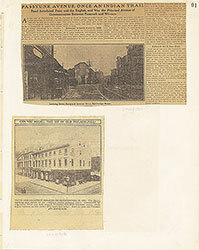 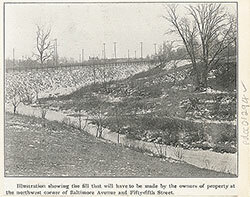 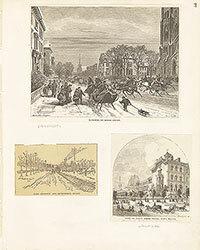 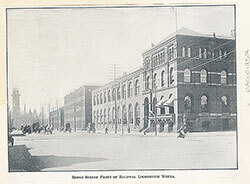 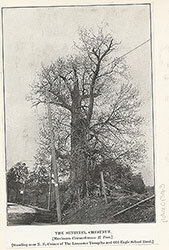 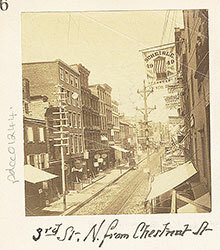 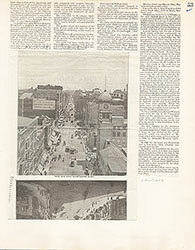 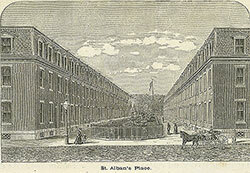 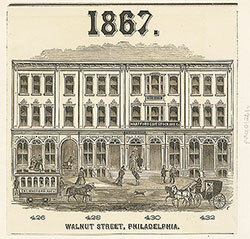 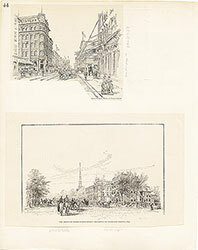 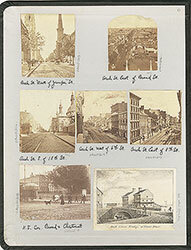 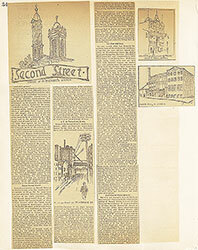 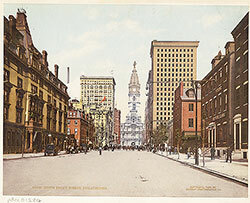 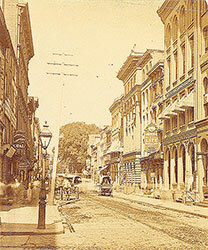 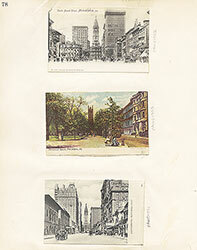 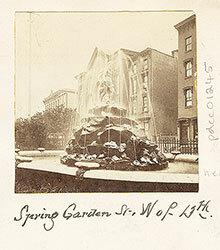 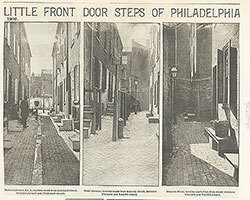 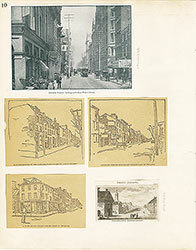 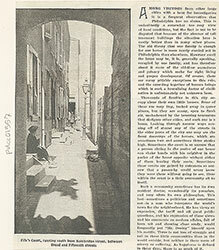 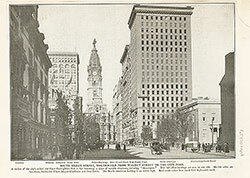 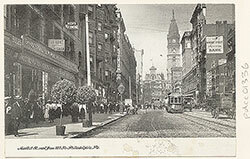 During the first half of the Nineteenth Century, the vicinity of Third and Chestnut was the business center of Philadelphia, and most of the newspaper offices were located here. 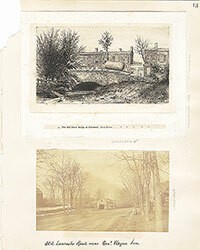 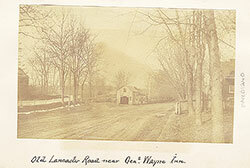 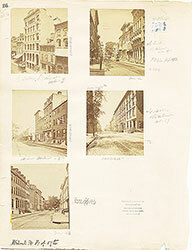 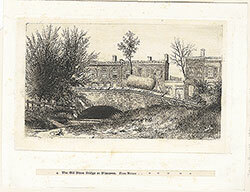 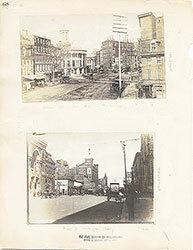 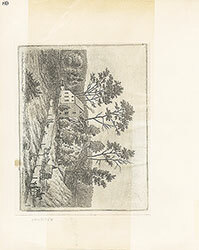 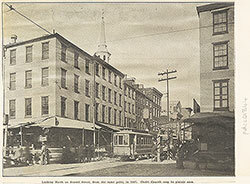 On the extreme right is a partial view of the first Public Ledger Building. 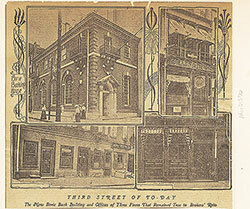 Signage on adjacent buildings indicates the offices of the Evening Telegraph and Sunday Transcript. 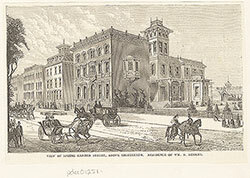 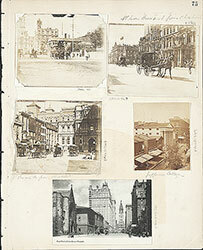 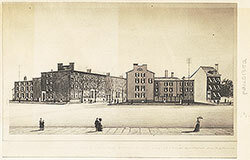 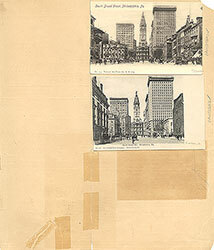 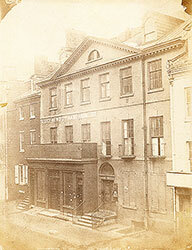 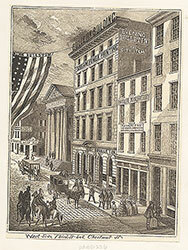 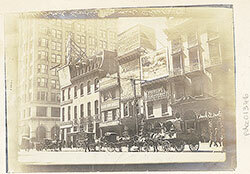 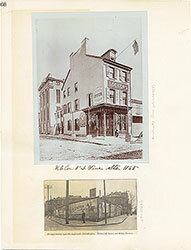 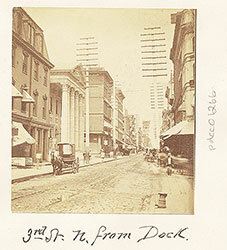 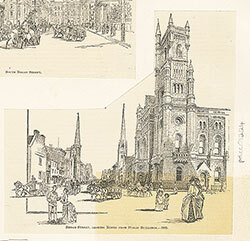 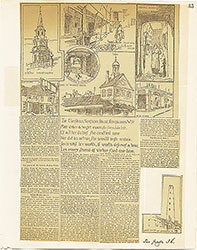 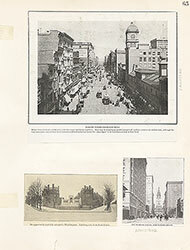 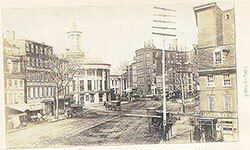 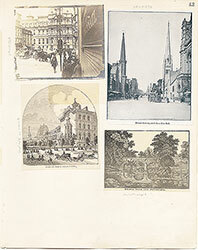 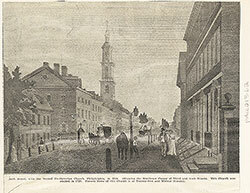 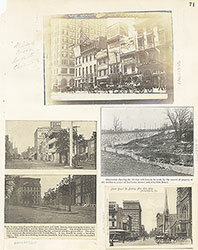 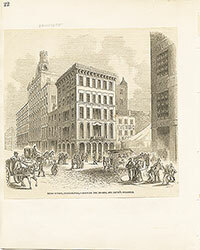 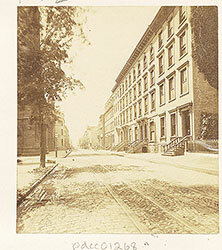 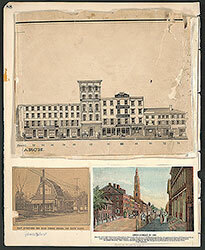 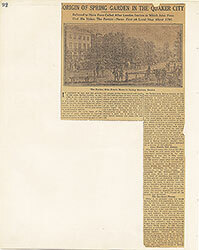 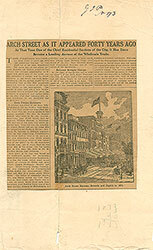 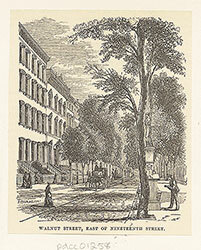 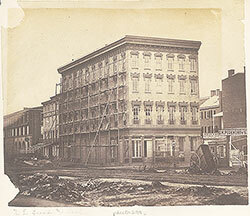 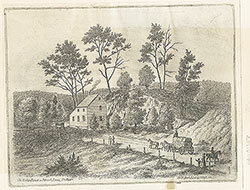 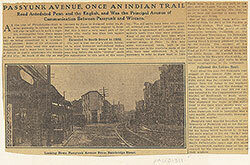 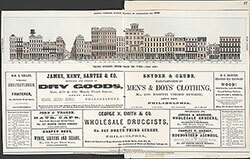 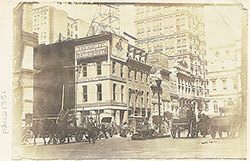 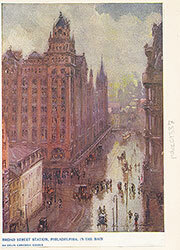 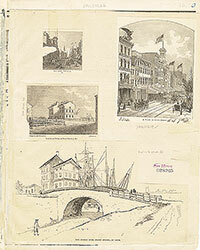 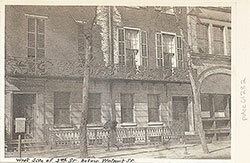 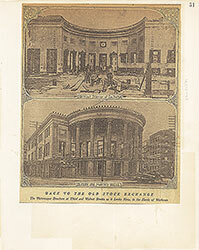 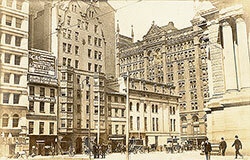 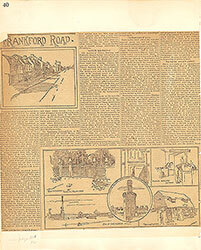 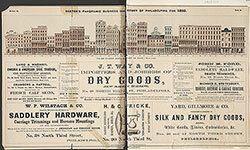 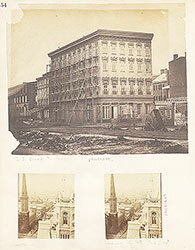 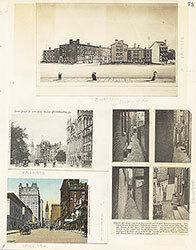 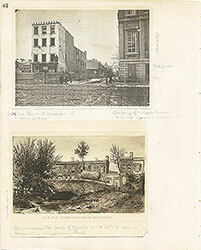 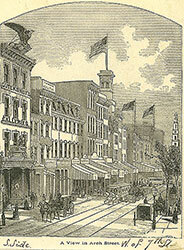 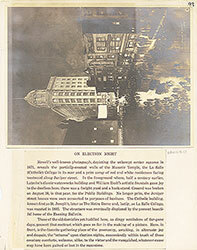 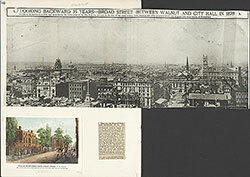 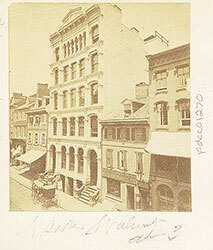 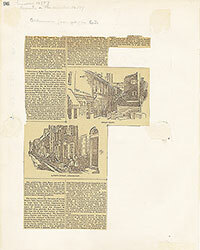 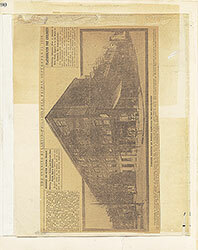 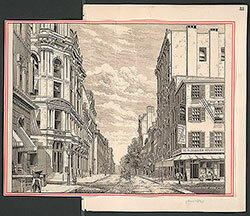 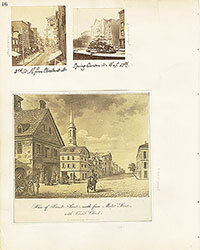 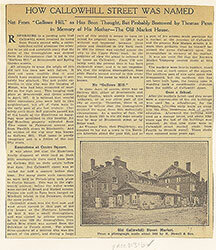 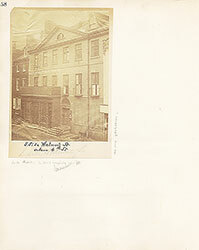 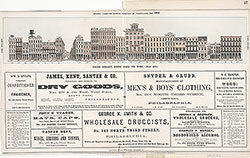 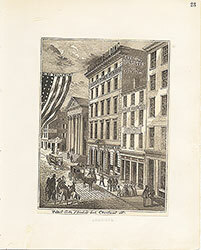 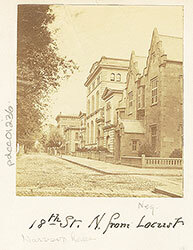 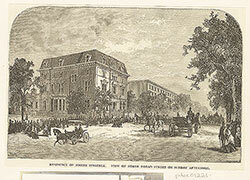 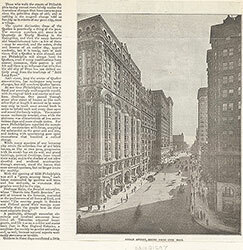 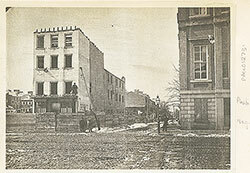 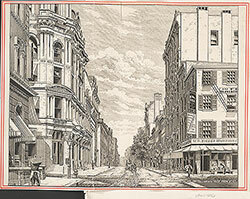 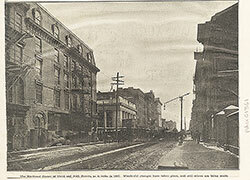 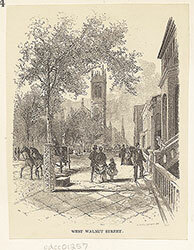 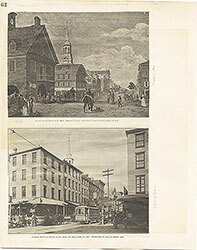 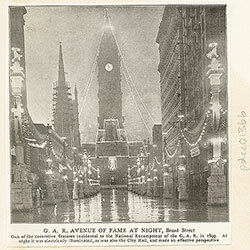 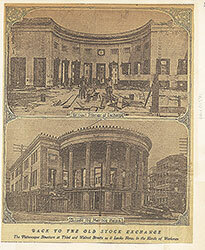 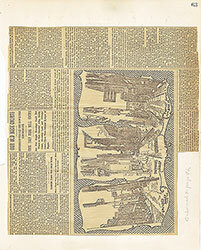 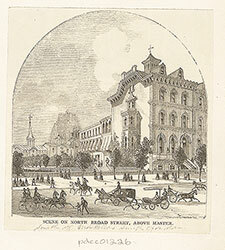 The Evening Bulletin Building is shown just before the Classicial edifice of the First Bank of the United States. 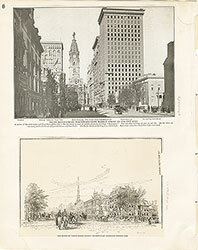 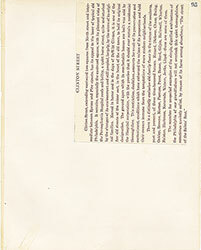 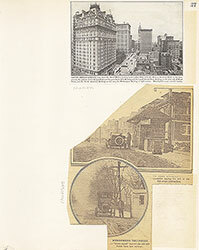 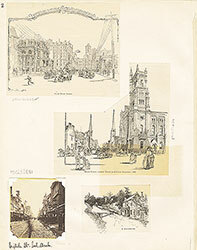 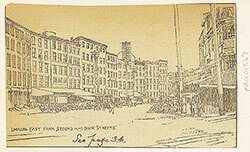 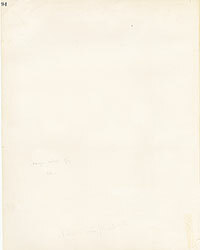 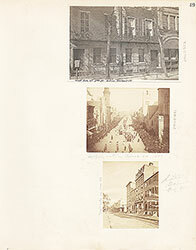 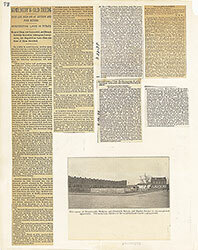 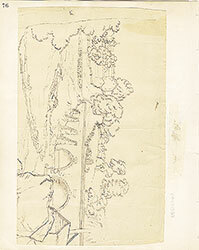 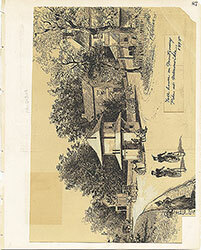 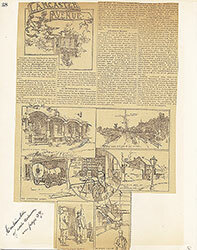 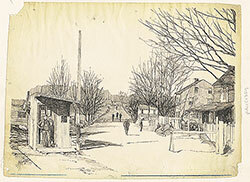 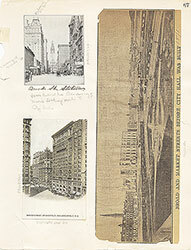 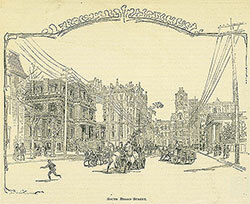 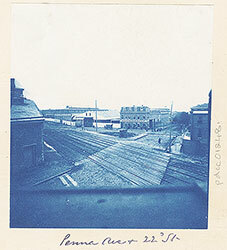 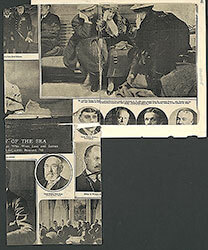 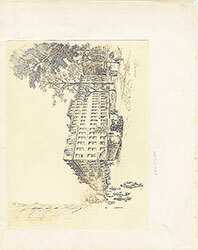 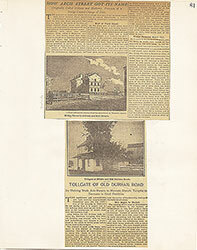 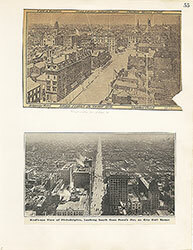 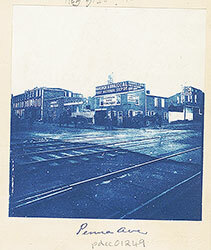 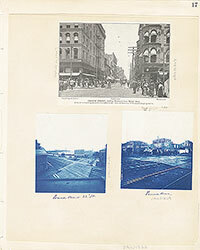 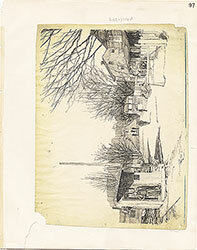 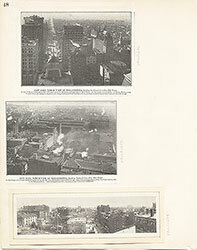 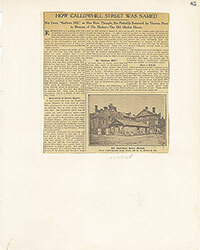 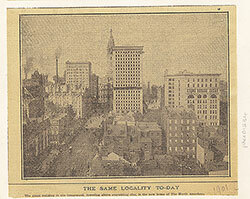 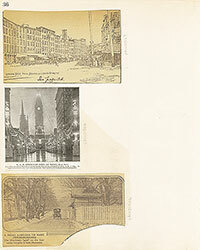 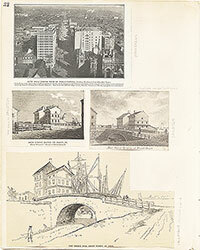 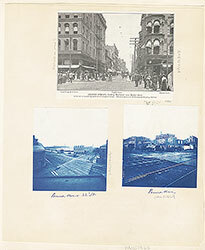 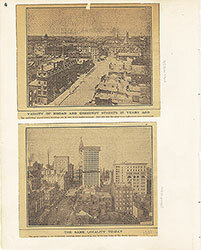 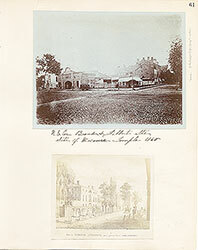 Also shows in the left foreground, a partial view of the offices of the United States Telegraph Co.